Marrakech is a city where you need to try desserts at least once. As it is one of the hottest destinations in Morocco, one must to stop for a break after the hectic strolling through the souks and the medina. You will find different types of desserts: from Moroccan biscuits to French tartelettes and, of course, ice cream, here are the 10 top spots for desserts in Marrakech. This bakery is located in the center of Marrakech, in the buzzing neighborhood of Gueliz, and has a sitting area for people who would like to enjoy their puddings in a calm and blissful atmosphere. 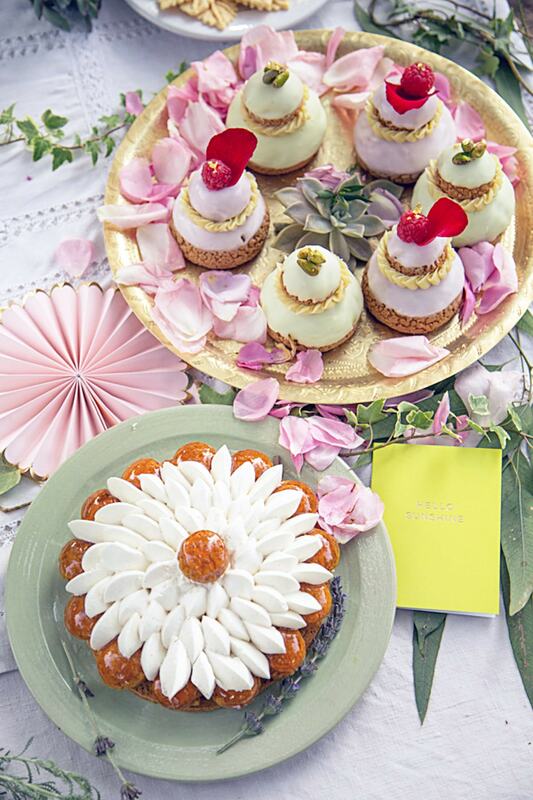 At Patisserie Amandine, you can choose from a variety of cakes and Moroccan biscuits, and, of course, accompany them with a beverage of your choice, including the popular Moroccan mint tea. This is another bakery, this time located near the most popular square in Morocco, Jemaa el-fna. On the menu, you can find all kinds of Moroccan pastries: pastilla, chebakia, and even briouates, and, of course, there are also all types of Moroccan biscuits, mint tea, massive chocolate milkshakes, and more! It is definitely a popular spot for tourists to sit down and enjoy some biscuits after strolling through the hectic souks. GATO is located in Gueliz, near the Plaza of Marrakech, and it has become very popular due to the quality of their pastries. 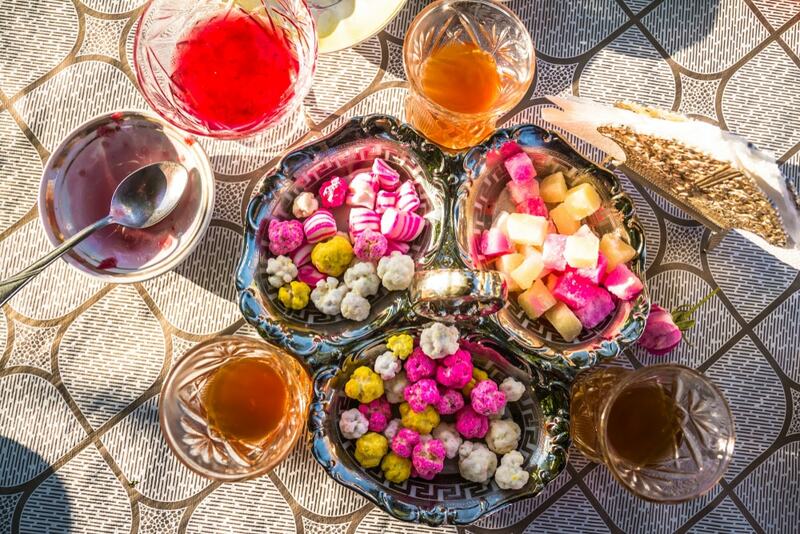 Here, you can savor the most delicious Moroccan biscuits, made with almonds, hazelnut, and raw local honey—you can even sit down and order fresh mint tea for the ultimate experience. This amazing coffee shop is located right next to the Jardin Majorelle by Yves Saint Laurent and it is such a refreshing spot to sit at after strolling through the hot garden. The café definitely has a touristy vibe to it, with lots of foreigners gathering to enjoy a gourmet cake and mint tea. It is a must-visit if you are into photography or Instagram, and you can capture some amazing shots in this modern yet traditional small café. This amazing café is located in the center of Gueliz, and it serves absolutely delicious breakfasts and brunch with crépes. 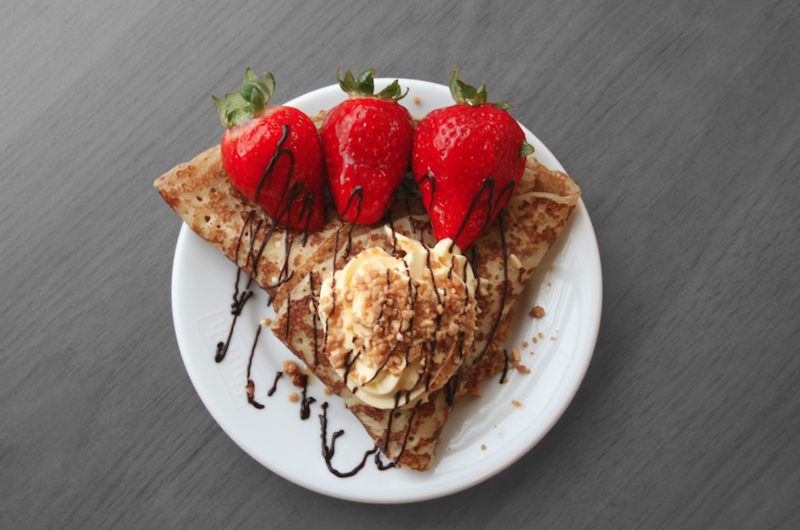 Here, of course, you will find a variety of crepes: sweet and savory, with fruit, chocolate, and so on. They also do pancakes, and you can accompany them with mint tea, hot chocolate, or orange juice! Located in the souks south of Jemaa el-fna, there is a cool, relaxed café on the rooftop of a building where you can enjoy a glass of fresh mint tea and the shiny sun. If you fancy Moroccan pastries, they have a bakery right in the entrance, where they offer the most delicious traditional sweets that you can enjoy in the narrow streets of the souk. Oriental Legend is an ice cream shop located in the middle of the square of Jemaa el-fna; it serves delicious ice cream and has a broad variety of flavors, including Moroccan ones. 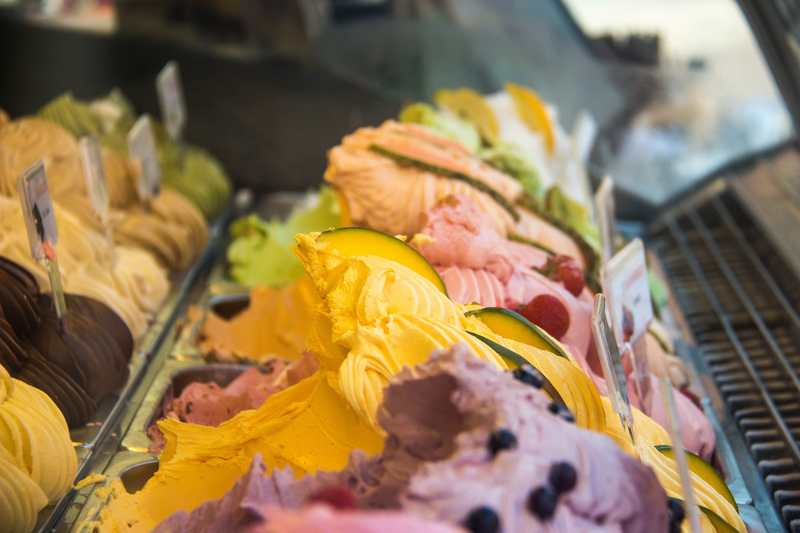 The ice cream is divided into four groups: the classics, with flavors such as hazelnut, salted caramel, or vanilla; the oriental with dried fig ice cream, dates, chebakia, and even corne de gazelles. They also have other flavors, such as chocolate, coconut, yogurt, mint, and many more. This is a typical American diner, which is surely a change from the Marrakech scene. At Le Warner, the waiters are dressed in a diner uniform, the décor is typical, and even the music is rock’n’roll. They have massive American-style milkshakes and desserts, such as mango cheesecake, chocolate lava cake, salted caramel tiramisu, and much more! 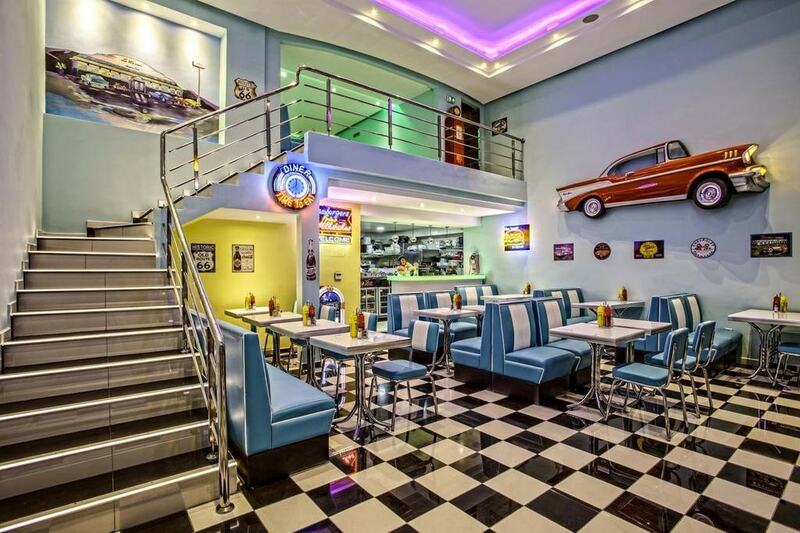 If you also fancy having dinner here, they have great burgers, like the popular waffle burger or the double cheeseburger. This amazing bakery/café is located right next to the Four Seasons in Marrakech, and it offers some of the most delicate and scrumptious cakes, pastries, and biscuits you will find in the Red City. You can sit in the red leather chairs that go with the wall art to enjoy cakes of all flavors, like lemon, raspberry, chocolate, and even apple crumble, which you can have with hot chocolate or fresh pressed juice. Last but not least, Oliveri is a place that holds its place in Moroccan history due to its success among Moroccans since 1950. This is the most famous place to get ice cream in Morocco, and if you go to any big cities like Marrakech or Casablanca, you will always see families going there on the weekends and sometimes, there is even a queue. They have different flavors, like raspberry, praline, chocolate, and much more, but what makes Oliveri different is the freshness you’ll find in the flavors, especially the fruit ones.